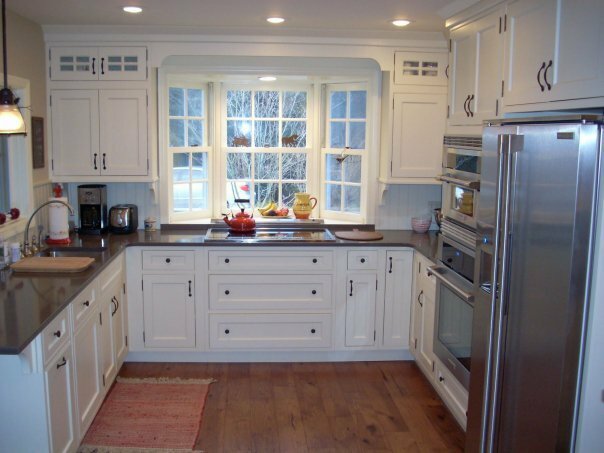 We pride ourselves on using the highest quality products and services.The end result is very important to our customers and to us.We have alway's believed in quality and service to grow our business, This has been our motto over the years. 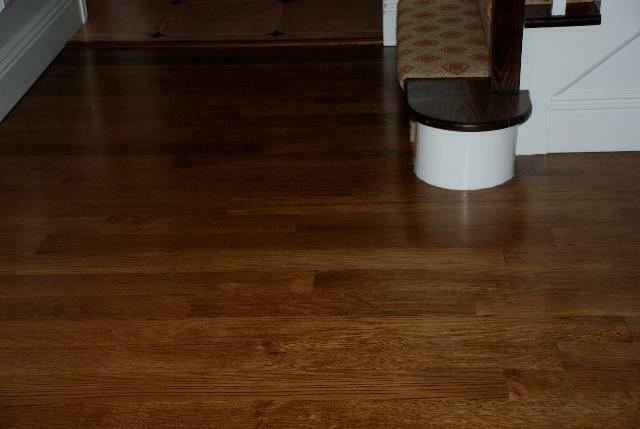 Riffed and quartered white oak 4" plank flooring finished with cherry dura seal stain and 3 coats dura seal oil based poly satin .Photo below riffed and quartered white oak 4" plank finished with special walnut satinand 3 coats duraseal oil based poly satin .Both photos from Commack hamlet two differient jobs. 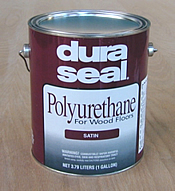 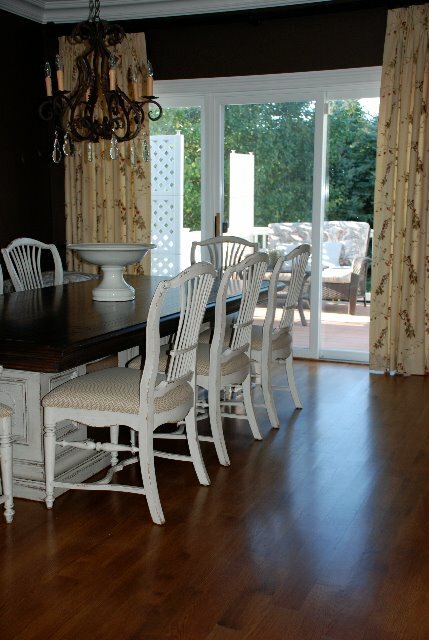 We use Duraseal professional floor finishing products to achieve superior quality and lasting results. 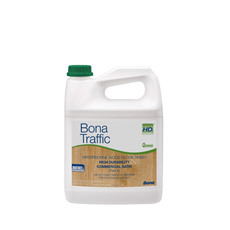 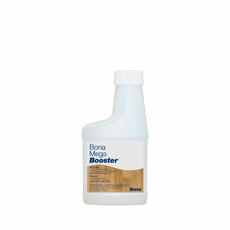 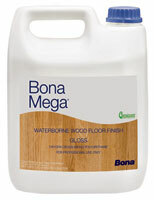 Bona professional waterbased products for lasting beauty and are environmentally safe . 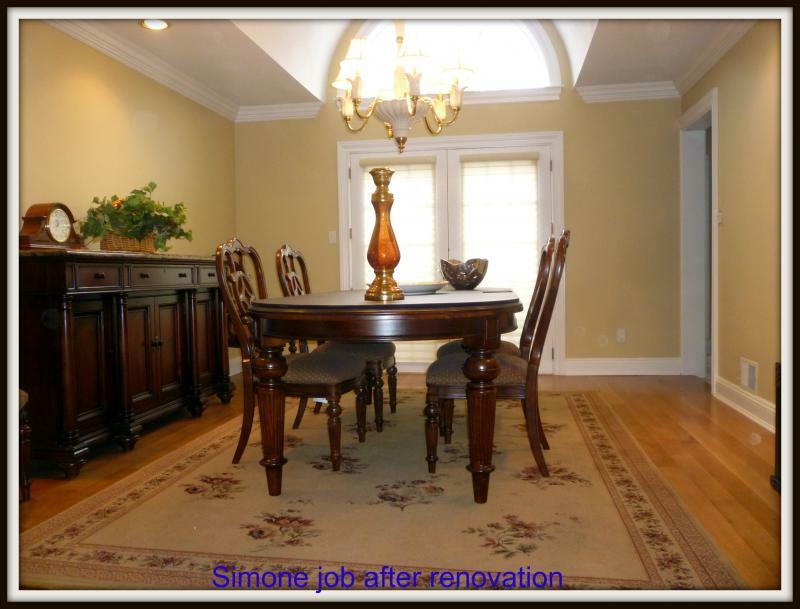 All of these photos are recent jobs .Every job was finished with Duraseal stains and duraseal oil poly . 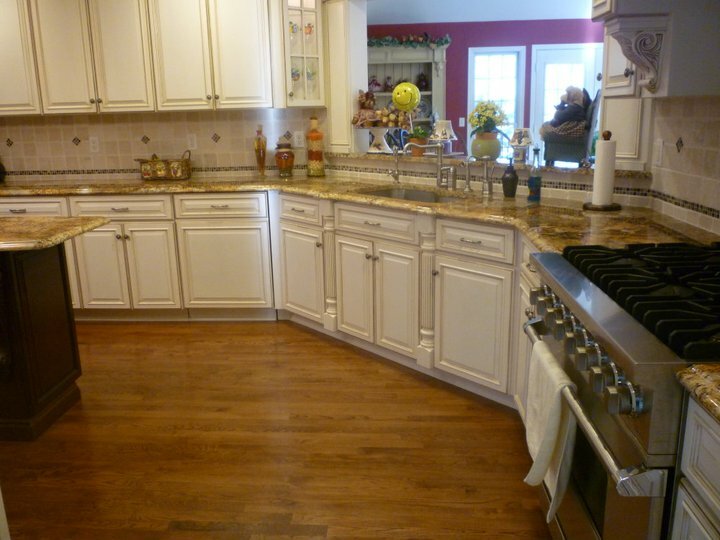 We feel these products are of the highest quality and hold up to today's tough standards. 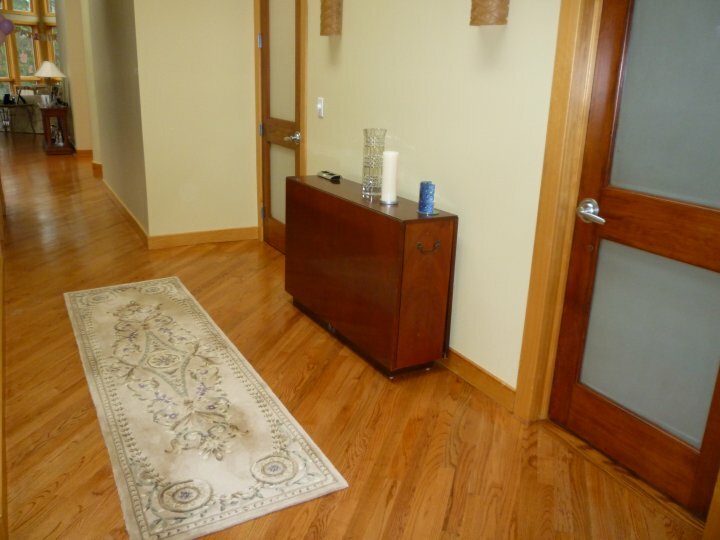 12"Old pine plank flooring golden oak stain with a satin wax finibefore we worked on it. 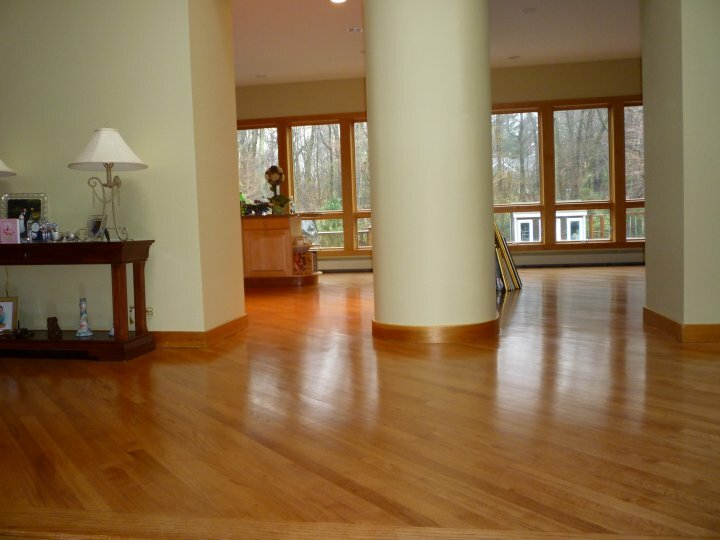 Clear red oak flooring with light cherry stain with semi gloss oil poly. 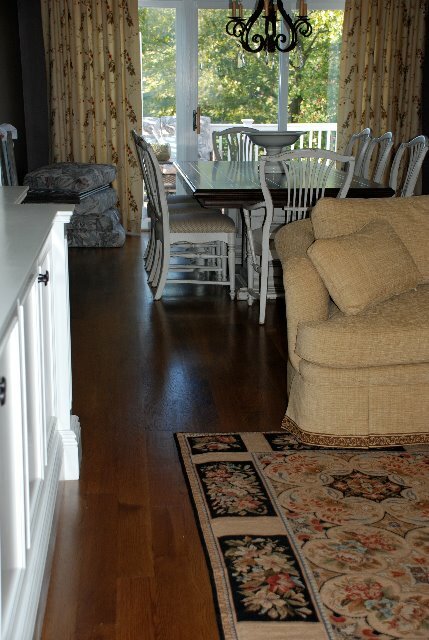 Homerwood installation hand scraped hickory prefinished flooring. 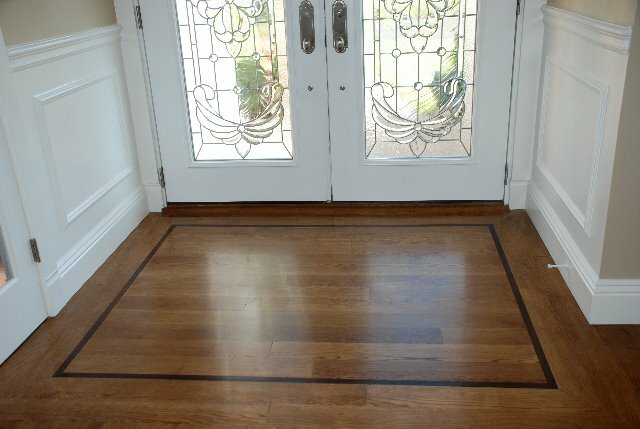 Quartered and riffed 4"white oak installation with walnut 1"boarder in entrance foyer .Special walnut stain and semi gloss oil poly.